Hey y’all! I trust you’re having a fantabulous week! Wearing denim with denim today- gasp! there when you’re brainstorming for a fashion line for 2 hours straight. Day when you should have realized it wasn’t coming. Having to make two trips to the car to get all your thrift store purchases home. Our “tradition” of burning the Christmas tree long after Christmas. Lilac skinny corduroys! So excited about them. This quote apparently from a tv show: “Most people live and die without moving more than the dirt it takes to bury them.” My prayer is to move a lot more than that in my lifetime. Ladies’ Bible Study encouraging us to be deliberate about blessing + accepting others because of Christ. Southern people. I’m still wowed by these little things that the people around me just do without making a big deal out of it. Courtesy, thoughtfulness, a smile, a note, dressing well… I have been so enjoying my true-blue-southern friend Claire’s Gingham at Five-Thirty blog, delivered to my email box daily. (yikes, pictures of me. how embarrassing. :P) I highly encourage you to sign up for updates. Just being with your best friends. Not always exciting, not always glamorous or fabulous, but ~home~. My workout clothes that match and I am comfortable in, both how they feel and modesty-wise. It feels SO GOOD to be back to running as the weather warms up and as I gain my strength. The wind outside. A storm is blowing in and this warm breeze is so, so lovely. Slightly scary, but beautiful. 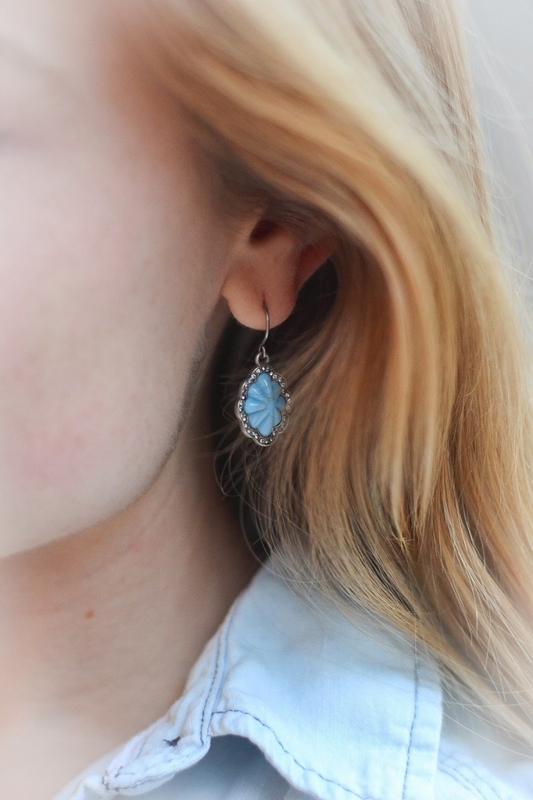 I am so excited to share with you these earrings from Amanda’s chloe + isabel boutique! These are perfect earrings. I love the color, the design, and the ingenious shape of the earring hook (can’t see it, but trust me!). Chloe + isabel has absolutely gorgeous stuff. I pinned a few of my favorites on my Jewelry board. Follow Olivia Howard’s board Jewelry on Pinterest. In 2008, Ben and Amanda were just two kids who met in a Bible study. In the past six years they have fallen in love, traveled, found a home, and welcomed a puppy—all while being surrounded by a community of loving family and friends. Now Ben and Amanda are setting off on their next adventure. With a vision to bring together a family through international adoption, their love is far larger than their resources to finance this journey. All proceeds made through Amanda’s Chloe + Isabel jewelry sales will go toward adoption related expenses. Ben and Amanda’s hope is that you will be able to purchase high quality, fun jewelry for yourself or your friends—and help build the Greenhoes’ forever family. Isn’t that awesome? Please go check out chloe + isabel and consider blessing this family while scoring a fabulous, versatile piece that I know you’ll love. I’ve worn mine over and over already. I hope y’all have an awesome day! I’m off to help clean the basement in case of tornado. 😛 It has been just over a year since a tornado devastated our little area, so I’m praying for safety for everyone today. What’s been awkward or awesome about your week? What is your favorite chloe + isabel item? 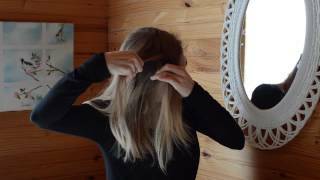 So, I am wondering what is wrong with Fresh Modesty for your clothing line? At the risk of revealing my "slight" issue with OCD, I hope to spare you the insanity of developing a creative, yet perfectionistic mind in your quest for the right name! I would definitely pray and seek His wisdom, which I am certain you have. But after a period of searching, rest on what you have and remember that a rose by any other name really is the same. It will still be you and your unique creations, no matter what the name is, and I know that many people will love what you create for His glory! Thank you SO MUCH for this! I hadn't thought it was possible to over-think it, but what you're saying makes total sense. Right now I'm not "hung up" on a name, per se, just bouncing around ideas, and it's good to know you like "Fresh Modesty". Thanks again! I'll be praying that your area stays safe from the weather! Cute outfit. Absolutley love the shirt. Is that a recent buy from Kohls? Ah I am so good a checking the mail on public holidays…. or even when one of my sisters have already checked it! Your skirt and earrings are beautiful! I love the shirt! I wore one just like it yesterday, only it is short-sleeved and has lace along the top of the back and sleeves. ~Wearing boots with higher heels to orchestra, because it makes me average height, and the teacher asking "Molly, have you been growing? You were like this (motions with his hand) tall when I met you." So then I have to once again tell someone that no, it's just the heels. I've got a love hate relationship going on with my shortness. ~The trees this morning when I got out of bed. It had snowed and rained ice before, so all the trees here in Wisconsin had a layer of beautiful white snow/ice over them. ~Getting new books in the mail. I'll need to warn my mom ahead of time that for the next few weeks I'll be as unproductive as possible. This is so cute! I love, love, love it! 🙂 I especially love the shirt, plus the denim-on-denim look. Haha, we burned our Christmas tree late too. Last night, in fact! Burned the C-mas tree. How innovative! Super cute! I have yet to attempt denim on denim- soon perhaps! I also agree with Michelle that Fresh Modesty is a great name for your clothing line as well. -Scrambling to get ready to be somewhere in two minutes when you're in workout clothes. -Trudging through the snow on the long way to and from Church since you parked in a separate parking lot a ways off, and in the middle having to stop, turn around, and go a different direction. -Exercising using a strange routine in front of all your siblings. -Getting almost everything done on your To-do list you made for the week on Thursday! – Making peanut butter cookies topped with Hershey's kisses. HEAVEN. -Your little sister's giggles at her older brother. -Getting into exercise routine again. -Watching glittering snowflakes flicker down on the way to Church. -Inviting a friend over for baking/movie-watching Saturday afternoon. Because life's too short not too. -Spontaneously going sledding on a huge hill on Thursday afternoon, for the first time in foreverrr (Frozen anyone? ), and the dad who takes you there. -Downton Abbey! Anyone else watch that show? -Spending Valentine's Day night laughing and spending time with friends amongst many delicious treats. -Mothers who bring you tuna-and-pickle sandwiches while you're at the computer. Yes, that happened just now. -God-given courage, determination, strength, and inspiration to accomplish what needs to be through the week. And more. He is so good. Lilac skinny corduroys? As in skinny jeans? You talked about the wind and the storm and I flashed back to blustery spring days right before a storm. My mom taught us to love thunderstorms and I enjoy them immensely. just adorbs. lovee that top! It's so cute and you look GORGEOUS in it! The earrings look fantastic with your outfit! Thank you for sharing about our adoption journey. Every purchase counts in helping us bring home our little one! I guarantee you will find something you love! FreshModesty readers, e-mail me at amandagreenhoe@gmail.com for a special $25 off $75 or more coupon! I just love this outfit so much, so casual but darling feminine at the same time. I wonder what you did with the hem there, it gives such a nice casual touch and you made it…wow it so doesn't look homemade. 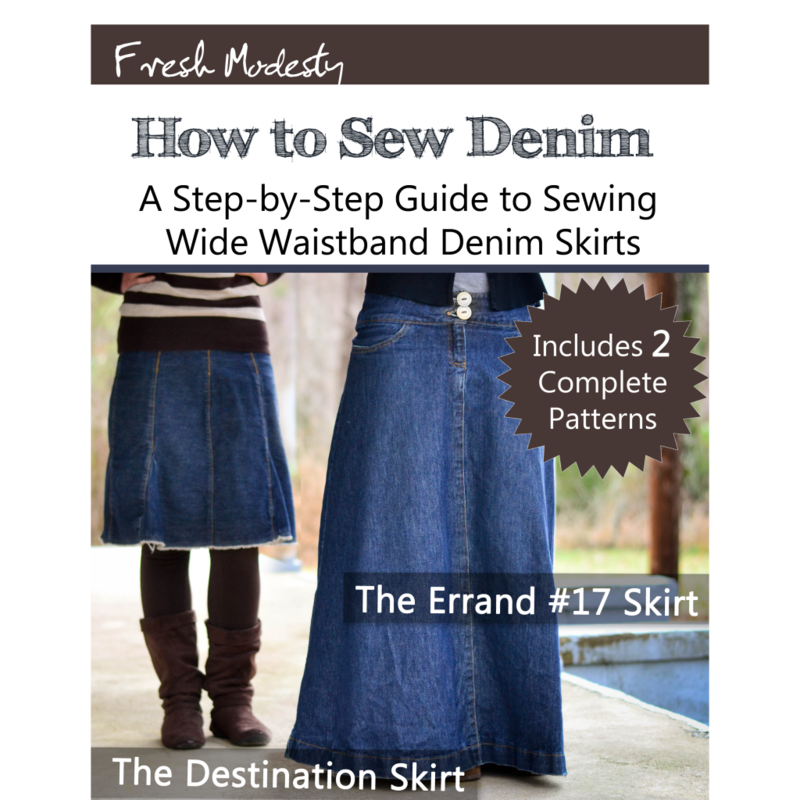 Do you just get denim from JoAnn's or some such fabric store? Really frugal too. Great job. Nice! the girl is looking amazing and location is wonderful. just need to carry a handbag. I always used chanel bags and carry them with me. I loved to collect beautiful and stylish handbags. lol, i checked the mail on President's Day too, and was wondering why my neighbor gave me a funny look until my daughter said "Duh Mom! Holiday!!"